A mild drama played out in the Senate on Tuesday during the screening of Ambassadorial nominees as two of the nominees failed to recite the National anthem and pledge properly. The screening of the nominees commenced today after weeks of delay due to allegations that President Muhammadu Buhari did not comply with federal character in nominating the Ambassadors-designate. 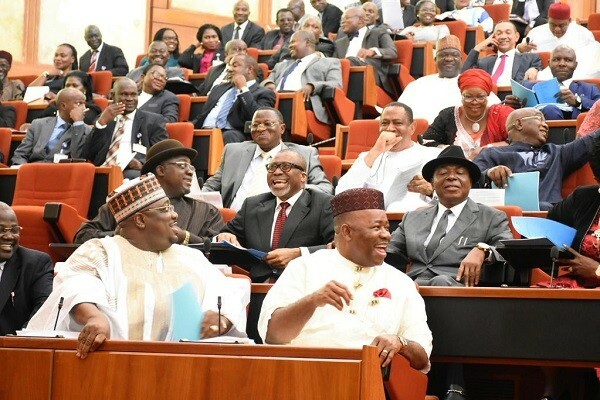 The stage was finally set for the important task of screening the nominee-envoys but it came as a surprise when the Chairman of the Senate Committee on Foreign Affairs, Senator Monsurat Sunmonu, asked the nominee from Anambra State, Vivian Nwunaku Okeke, to recite the national anthem, but she could not as she mixed it up. The same fate befell the nominee from Niger State, Ibrahim Isa, when he was asked by Sen. Sunmonu to recite the National Pledge. A member of the committee, Senator James Manager (PDP, Delta South), however, corrected the nominees.